ΔΙΚΑΙΟΠΟΛΙΣ: A 5th century christian church in Connecticut? Byzantine Church or Stonemason Doodling? Αναδημοσιεύσεις , Διεθνή , Ορθοδοξία , Τέχνη και πολιτισμός » A 5th century christian church in Connecticut? Byzantine Church or Stonemason Doodling? 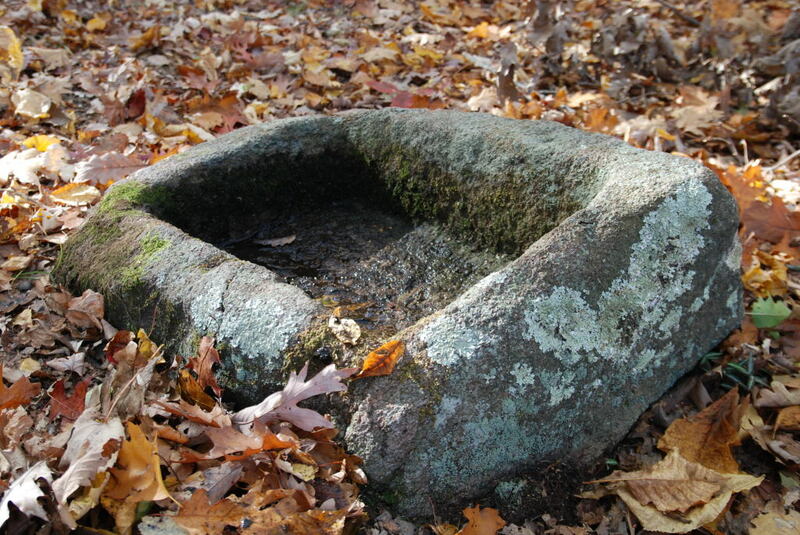 A 5th century christian church in Connecticut? Byzantine Church or Stonemason Doodling? Συντάκτης: dikaiopolis , ημέρα Παρασκευή, 12 Οκτωβρίου 2012 και ώρα 11:10 μ.μ. Towering trees with spreading crowns combined with a hushed sylvan quiet sometimes makes stepping into the woods feel like entering a cathedral. Perhaps just such an experience contributes to a belief by some people that within Connecticut’s Cockaponset State Forest in Guilford is a 5th century Byzantine Church, the oldest Christian house of worship in North America. But don’t expect ruined walls, belfry remains or pews. It’s more of an outdoor chapel, a space in the woods with interesting carving in the bedrock that most people wouldn’t notice unless they were looking for it. An old woods road runs close to Amtrak’s line between New York and Boston. 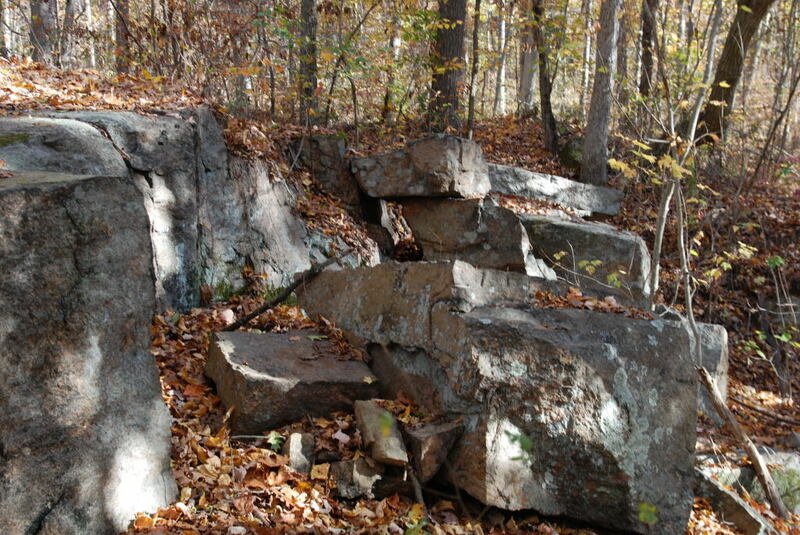 It leads past a small, overgrown granite quarry whose rock face still reveals steam drill holes and the tooth-like marks left from splitting stone with a wedge and shims. Nearby is a pile of big stone blocks, harvested from the quarry and then abandoned. From this site a trail winds through a rough, boney landscape thick with oaks. After a leisurely fifteen minute hike, a low rise is reached not far from the rugged, marshy shore of Lost Lake. 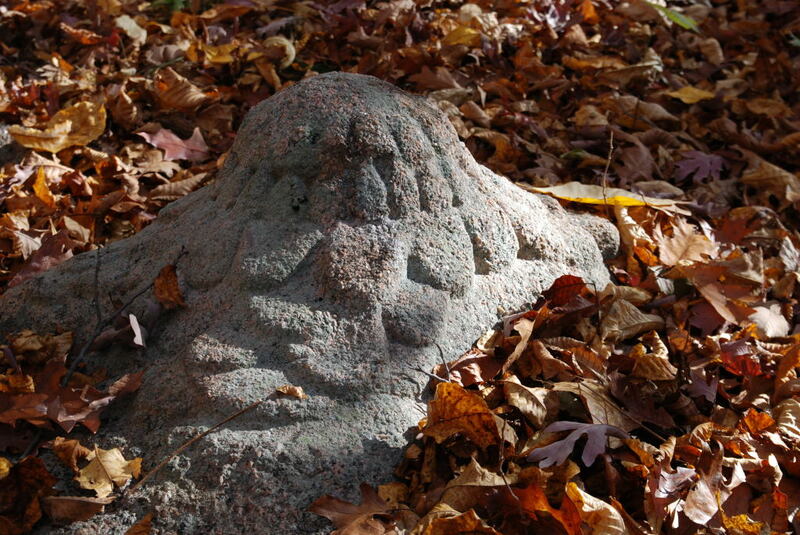 Half hidden by leaves and other detritus is a series of rock sculptures. Among the sculptures are a stalagmite-like floral creation, a flame shaped basin carved into a ledge and surrounded by drill holes, a rock formed into a seat, a four petal flower, and a freestanding rectangular basin. 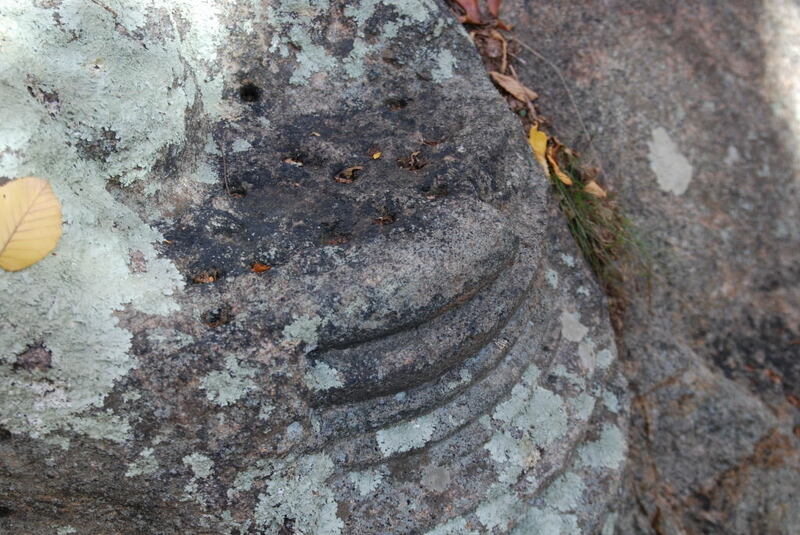 A large rock outcrop is carved with a series of stepped grooves above which is a small flattened area surrounded by drill holes. Subscribers to the church theory see inscriptions in the rocks which suggest that the carving was the work of North African Monks 1,500 years ago. 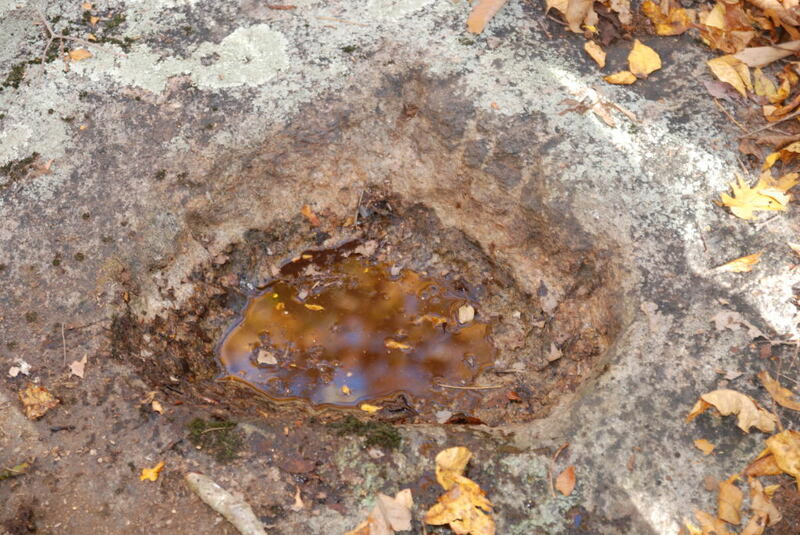 They see the basins as baptismal fonts, the seat as a throne, and the flattened and grooved chunk of ledge as an altar. Vertical drill holes are candle holders and the horizontal ones reveal patterns with images and letters. A more prosaic alternative holds that this little plateau was the lunch site of quarrymen carving out blocks for railroad abutments and bridges little more than a century ago. In spare moments they doodled, practicing their mason skills to pass the time. Regardless of whether the carvings are the work of ancient monks or the graffiti of nineteenth century stonemasons, these primitive sculptures are both beautiful and intriguing. It’s tempting to believe the more complex and antique (albeit bizarre)explanation because it adds a mystical allure to the site, though I can better imagine the quarry crew eating and swapping stories as they tried their talent. There is a magic in the juxtaposition of such different interpretations. In any event, the presence of these sculptures among the trees adds depth and texture to the landscape and elevates a simple walk in the woods with a mix of awe and wonder.